Take advantage of the lightening speed of USB 3.0 to quickly transfer files up to 5 Gbps! 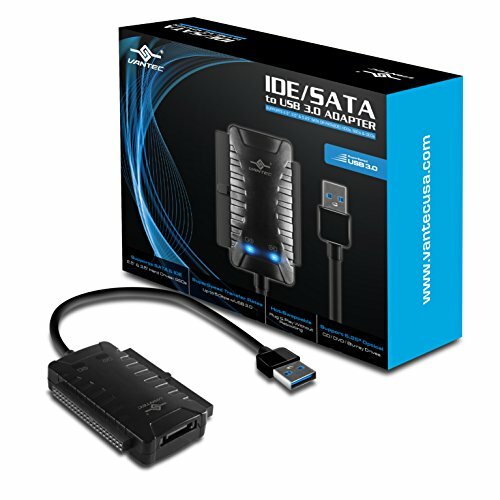 Connect any 2.5'' Serial ATA (SATA) / SSD or SATA II Hard Drive to your computer through an available USB 3.0 port on your desktop or laptop. Reverse compatible with USB 2.0 and 1.1, this Adapter is a perfect solution for data transfers or data backup! Supports Standard Notebook 2.5" SATA and SATA II Hard drives. Available USB 3.0 port on the computer to achieve full 5 Gbps transfer speeds. Available USB 2.0 port on the computer to achieve full 480 Mbps transfer speeds. Windows: XP/Vista/7/8/8.1/10 (Both 32-bit & 64-bit versions) MAC: OS X. 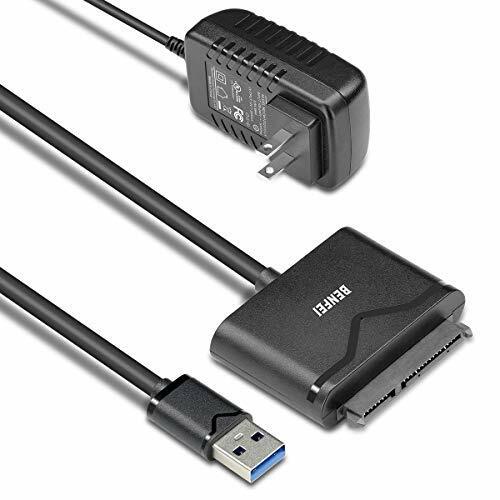 This SATA to USB cable is an external drive adapter that gives you quick and easy access to a SATA drive through the USB-A port on a laptop. This SATA solid-state (SSD) or hard drive (HDD) adapter lets you upgrade to an external 2.5"" SATA SSD or HDD. The cable lets you: add drive space, perform backups, create disk images, implement data recovery, and transfer content between the drive and the laptop. The hard drive converter externally connects directly to your hard drive connector and your computer's USB port. The cable supports USB 3.0 data transfer speeds of 5Gbps. But, you can experience transfer speeds up to 70% faster than conventional USB 3.0, when connected to a computer that also supports UASP. With UASP you can utilize the full potential of a SATA III SSD or HDD. UASP is supported in Windows 8, Mac OSX (10.8 or above), and Linux. 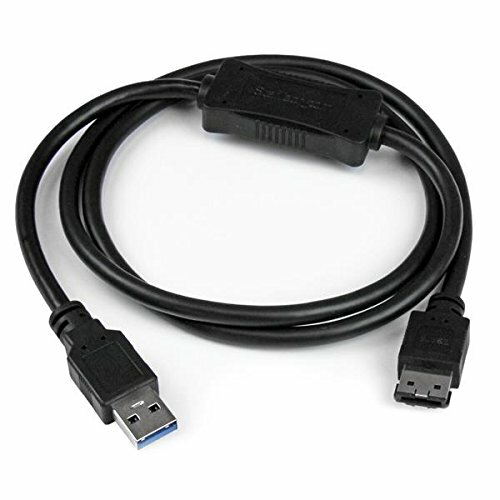 The SATA to USB cable is a portable solution that tucks away nicely in a laptop bag -- no external power is required. The cable lets you easily swap between drives with no need to install the drive inside an enclosure. It s plug-and-play and doesn t require drivers. USB3S2SAT3CB is backed by a StarTech.com 2-year warranty and free lifetime technical support. FAST TRANSFER SPEEDS WITH UASP: The SATA to USB adapter supports USB 3.0 data transfer speeds of 5Gbps. But, you can experience transfer speeds up to 70% faster than conventional USB 3.0, when connected to a computer that also supports UASP. SAVE TIME: The hard drive transfer cable lets you easily swap between drives with no need to install the drive inside an enclosure--just plug and play. 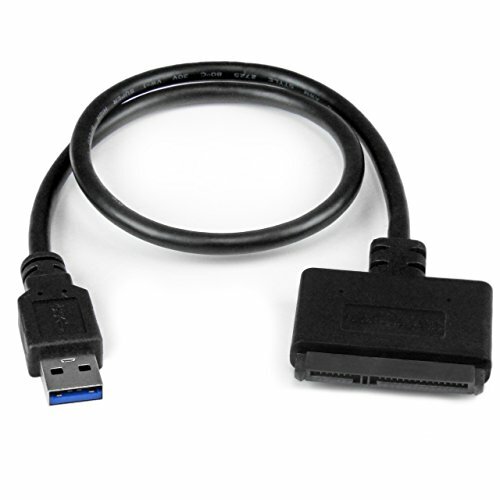 QUICKLY ACCESS A SATA SSD OR HDD: Add drive space to your laptop by connecting to a SATA 2.5" SATA SSD or HDD using this SATA to USB cable. You can connect to an external drive t0: add storage, perform backups, create disk images, implement data recoveries, and transfer content to your laptop. SAVE TIME: The hard drive transfer cable lets you easily swap between drives with no need to install the drive inside an enclosure. It's plug-and-play and doesn't require drivers. 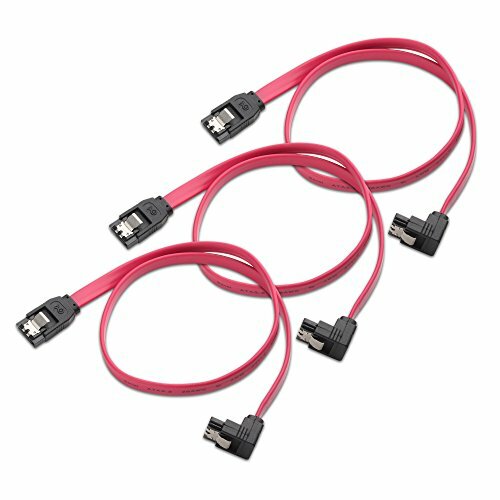 Benfei SATA III cable is designed to connect motherboards and host controllers to internal Serial ATA hard drives and DVD drives, quickly upgrading your computer for expanded storage. Please be kindly noted that this cable does not provide power for your hard drive. It must be powered separately. 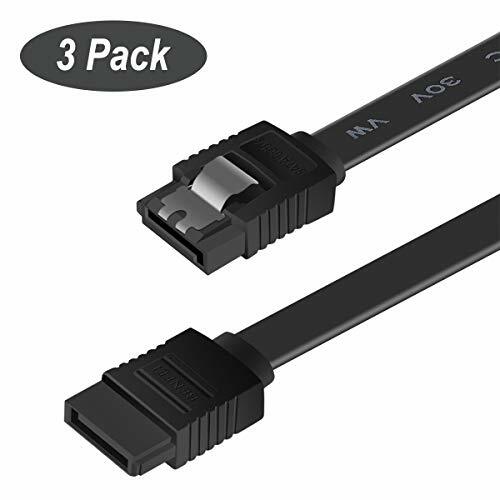 What You Get: Benfei SATA 3 cable 18inch(3PCS in one package) x3, 18-month warranty and lifetime friendly customer service. USB 3.0 to SATA adapter cable The USB 3.0 to SATA adapter cable lets you connect a 2.5" SATA hard drive or solid state drive to your computer through an available USB port -- the easiest way to upgrade the hard drive in your laptop by adding an external SSD via USB 3.0. Transfer speeds up to 70% faster than conventional USB 3.0 The cable supports UASP, allowing for transfer speeds up to 70% faster than conventional USB 3.0, which enables you to utilize the full potential of your SATA III SSD/HDD, when paired with a UASP-enabled host controller. See our UASP testing results below for further details. Maximum portability with cable-style adapter This portable adapter features a lightweight design with no external power required, for easy storage in a laptop bag or carrying case. Plus, the cable-style adapter makes it easy to swap between hard drives without having to install your drives into an enclosure. Perfect for easy drive access for data migration, drive cloning and data backup applications. Applications Take advantage of USB 3.0-enabled laptops or desktops with UASP for faster transfer speeds. Create an external storage solution on the go, for desktops, laptops or Ultrabook computers. Access any 2.5" hard drive or solid state drive from any USB enabled computer, for data migration or drive cloning. Back up important data to an external storage device. Retrieve data from an old SATA drive. Use with an SSD drive to externally upgrade your laptop hard drive via USB 3.0. What's in the box 1 - USB 3.0 to SATA 2.5" HDD Adapter Cable. 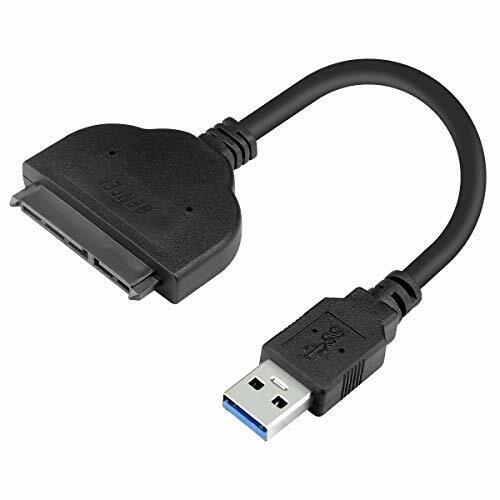 QUICKLY ACCESS A SATA SSD OR HDD: Add drive space to your laptop by connecting to a SATA 2.5" SATA SSD or HDD using this SATA to USB cable. You can connect to an external drive to: add storage, perform backups, create disk images, implement data recoveries, and transfer content to your laptop. 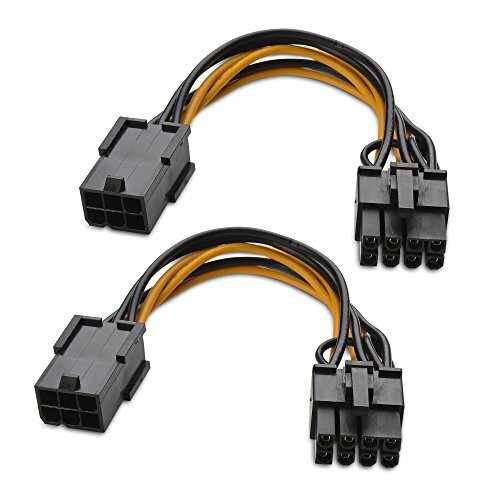 Cable will work ONLY with 2.5" SATA drives, 3.5"/5.25" drives are NOT SUPPORTED. CONNECT FROM ANYWHERE: The hard drive USB adapter is a portable solution that tucks away nicely in a laptop bag with no external power required. we will give you a satisfactory solution before leave Negative Feedback or Customer Reviews. Your satisfaction is our greatest encouragement,Thanks for your support to our new store. 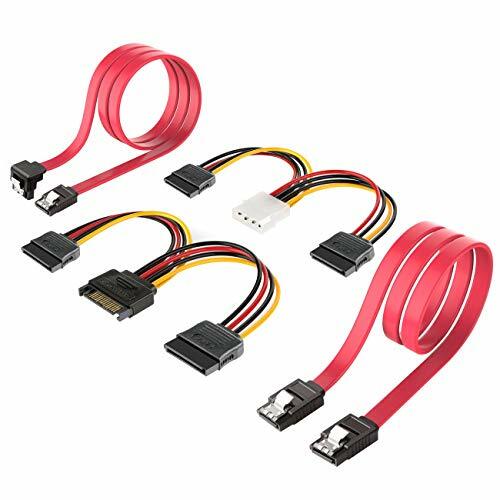 PC Upgrade Set The Inateck premium-quality cable bundle provides all items you require to establish data and power connections for devices featuring SATA interfaces within your PC's casing, e.g. hard drives (SSD & HDD), ROM and RW+/- drives (Blu-ray, DVD & CD). The cable set is an ideal supplement for the Inateck ST1002 conversion frame. Premium Quality The high-quality cables from Inateck ensures a hassle-free and fast data and power transmission. All SATA and power plugs are custom-fitted and highly durable. Lightning-Fast Data Transmission The data cable of the third SATA generation, also called SATA III or SATA 6G, feature a theoretical maximum bandwidth of up to 750 MB/s, while being downwards compatible as well. 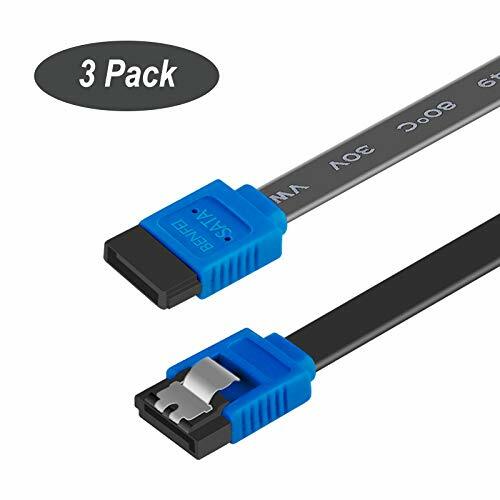 Two SATA data cables and two power cables are compatible with all SATA connectors (HDD, SSD, CD DVD Bluray drives). Realizing fast and interference-free data and power transmissions. The top speeds up to 6 Gbps. Downwards compatible with SATA I & II. SATA III male to SATA III male, 4-pin ATX male to 2x 15-pin SATA female & 15-pin SATA male to 2x 15-pin SATA female. 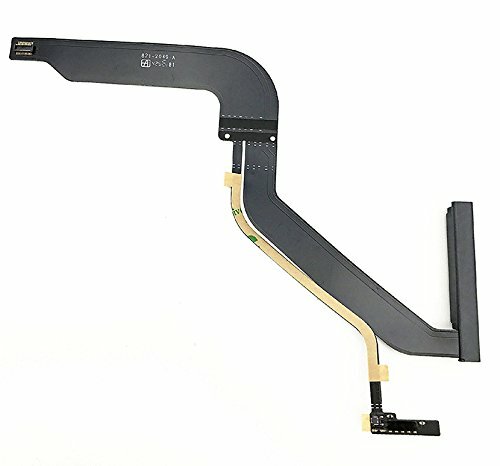 Accessories: 1x 4 Pin to Dual 15 Pin SATA Power Cable(16 cm), 1x 15 Pin to Dual 15 Pin SATA Power Cable(16 cm), 2x SATA Data Cables(48 cm). 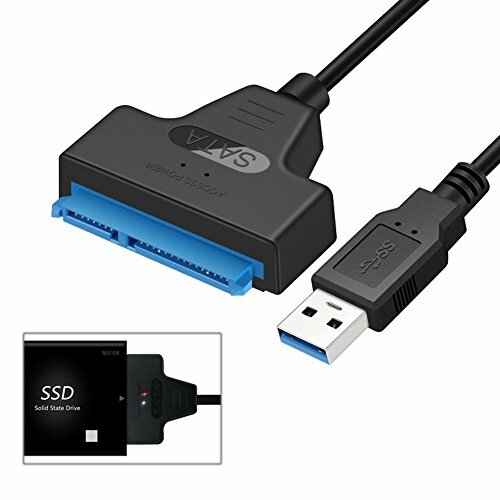 The Vantec IDE/SATA to USB 3.0 Adapter provides the flexibility of connectivity and hot-swap capability to your storage drives. 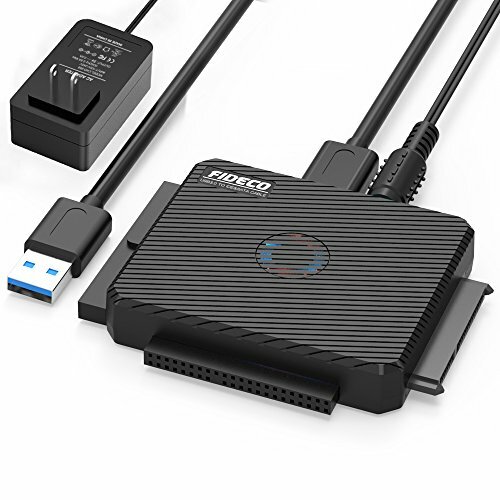 This device enables you to connect numerous storage drives like 2.5 , 3.5 , 5.25 SATA or IDE drives thru the latest Super speed USB 3.0 connection. Whether your IDE/SATA hard drive is new or old, from a laptop or desktop; this adapter can read it all. The included external power adapter will allow you to power your drives outside your system giving you the ability to quickly add or hot-swapped between drives without opening your case. The plug and play function with NDN (No Drivers Needed) features works wonder with Windows and OSX saving you time and trouble. This compact and lightweight design makes for easy storage and portability. The Cable Matters 6-Pin PCI to 8-pin Adapter Power Cable provides a convenient solution for powering a video graphics card from a PSU without an 8-pin PCIe power connection. Power a new video graphics card with an existing 6-pin PCIe power connections on your PSU. This cost-effective 2-Pack of power cables includes a lifetime warranty for peace of mind when purchasing. 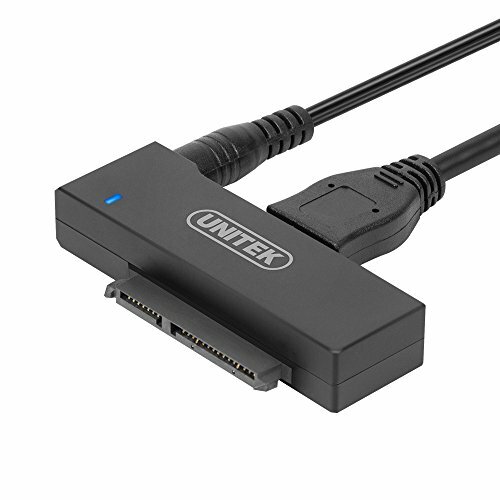 Unitek USB 3.0 to SATA Converter with External 12V/2A Power Supply allows you to connect 2.5'' 3.5''' SATA Hard Drives to your computer via an available USB port. USB 3.0 version, backwards compatible with USB 2.0 / USB 1.0. USB 3.0 supports data transfer speeds up to 5Gbps. The transfer speed can reach as high as its SuperSpeed (5 Gbps) / high-speed (480 Mbps) / full-speed (12 Mbps). The lightweight, compact design allows you to very convenient to carry. The hard drive adapter is a perfect solution to make it simpler connect any 2.5'' 3.5'' SATA data storage device with Mac or Windows computer. Features: Automatic sleep mode after 30 minutes of inactivity; LED light shows Power and Activity status. Actual rate will depend on the capability of your device. Universal Hard Drive Adapter] Comprises of a high-class chipset VL711; Supports 2.5" 3.5'' SATA I/II/III hard drive/solid state drive and SATA optical drive, can be used on Windows XP/Vista/7/8/10 and Mac OS. [Up to 6 Gbps Transfer Rates] Maximun 6 Gbps transfer rate only for SSD. USB 3.0 version, supports data transfer speeds up to 5 Gbps, backwards compatible with USB 2.0 / USB 1.0. [Portable Design] This sata to usb adapter is so portable and lightweight what makes it is easy to carry. LED light shows Power and Activity status. [Plug and play] Support hot swapping, easy and tool-free installation. No drivers or software needed. [What We Offer] Unitek USB 3.0 to SATA Adapter x1, 12V 2A Power Adapter x 1, 2.6 ft USB 3.0 Cable x 1; 2-year warranty quality guarantee, 24h friendly customer service and email support. Warranty: 2-year warranty quality guarantee, 24h friendly customer service and lifetime free technical support. Cost-effective 12 Pack Combo: 12 Pack SATA 3 cable is a cost effective way to provide replacement or spare for different SATA systems or for RAID configuration. What You Get: Benfei SATA III cable 18inch(12PCS in one package) x12, 18-month warranty and lifetime friendly customer service. Support Devices: 2.5 /3.5 SATA SSD HDD, BLU-RAY DVD, CD-ROM, DVD-ROM, CD-RW, DVD-RW, DVD+RW Combo devices. Connect to the SATA device using USB interface. No drivers needed for you to enjoy its outstanding performance. Support Windows 7/8/10/MAC OS 8 or above. What You Get: 1 x Benfei USB 3.0 to Sata Adapter and 1 x 12V/2A Power Adapter, 18-month warranty and lifetime friendly customer service. 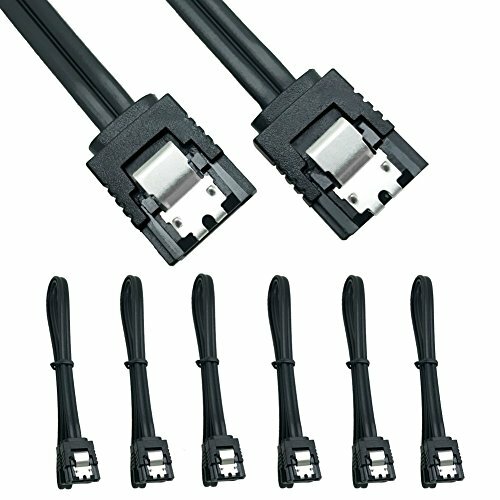 Benfei SATA 3 cable is designed to connect motherboards and host controllers to internal Serial ATA hard drives and DVD drives, quickly upgrading your computer for expanded storage. Please be kindly noted that this cable does not provide power for your hard drive. It must be powered separately. 1. Super-Speed USB 3.0 interface, Reverse compatible with USB 2.0 and USB 1.1. LED lights indicate Power and Activity status. 2. On/Off Switch for HDD protection, can be switched off when not in use, easy and simple operation, efficiently enhances lifespan of your devices it can protect your HDD. 3. Support Standard Desktop 3.5" SATA or IDE Hard Drives, Standard Notebook 2.5" SATA or IDE Hard Drives, Desktop CD-ROM/CD-R/CD-RW/DVD-ROM/DVD+RW. 4. Hot-swappable, plug and play, no drivers needed. 5. The USB SATA Adapter is a caseless solution that makes swapping hard drives easier than ever before. Transfer data quickly and easily through USB 3.0 at speeds of up to 5Gbps. - Available USB port on the computer. - Windows: 2000/XP/Vista/7/8/8.1/10 (Both 32-bit and 64-bit versions). Support Multiple Drives up to 10TB: This converter can support up to three drives simultaneously, it is compatiable with 2.5"/3.5" SATA HDD SSD; 2.5"/3.5" IDE HDD SSD; 5.25'' DVD-ROM, CD-ROM, CD-RW, DVD-RW, DVD+RW. Support 2x 10TB hard drives, is a perfect solution for backup & processing IT data, batch processing data, formatting, file transfers, data recovery, etc. Humanization Design: Compact body design, versatile function, enables access to three drives simultaneously. LED process indicator, support Plug and play & hot swap, On/Off power Switch for Hard drives protection. Pulg & Play: Quickly connect 2.5/3.5 inch SATA/IDE HDD SSD to a USB port via this portable cable without any extra power and installation. There is no need for anything else. Just plug this into the device and you're good to go. 5Gbps SuperSpeed: USB 3.0 supper speed supports transfer rates of up to 5Gbps (The actual transmission speed is limited by the setting of the device connected). 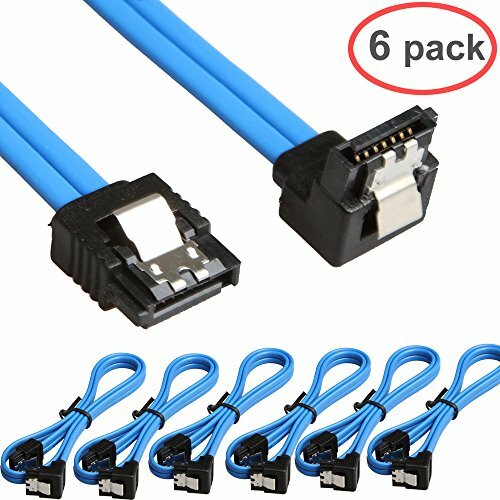 Backwrds compatible with USB 2.0/1.1 connections. 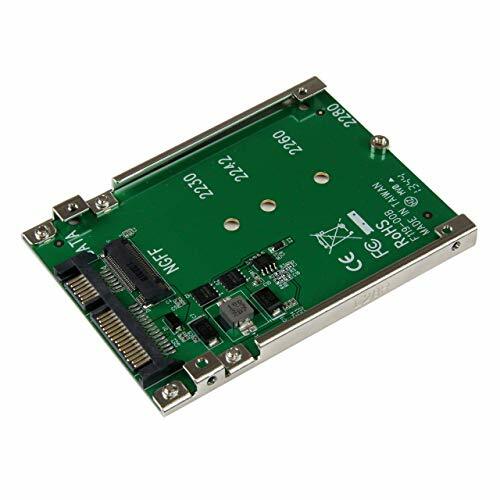 System Compatibility: This IDE Sata Adapter is universally compatible with Windows 10/ 8.1/ 8/ 7/Vista/XP, Mac OS 9/ 10, Linux etc. We Support Best Seiver: 18 months warranty, 24h friendly customer service and email. The USB3S2ESATA3 USB 3.0 to eSATA drive cable lets you connect any external eSATA hard drive, solid state drive, or optical disc drive to your USB-enabled computer system -- a great solution for computers that don't natively support eSATA, such as MacBook and Ultrabook computers. Vastly increase system performance by adding the speed of an M.2 SSD in any 2.5" SATA application, with the SAT32M225 M.2 SSD to SATA adapter. Utilize the full potential of your SATA III controller, with an M.2 SSD reducing your data transfer bottleneck with file transfer speeds up to 6 Gbps. M.2 SSDs can also save you money by reducing your power consumption over regular platter drives. Help protect the health of your drive with an open-frame design that maximizes heat dissipation. The SAT32M225 is backed by a StarTech.com 2-year warranty, and lifetime technical support. Warranty: We provide a 2-years warranty with our MacBook Pro Charger. However, if our product fails to satisfy you, we will either replace it or refund your money back with no questions asked.